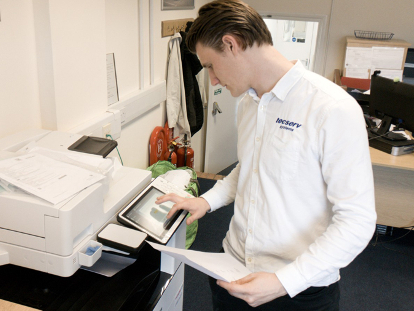 Tecserv have developed a reputation of excellence within the office equipment industry, originally specialising in the installation and collection of photocopy equipment, Tecserv have since developed a host of nationwide services ranging from photocopier preparation all the way through to networking devices at point of installation. 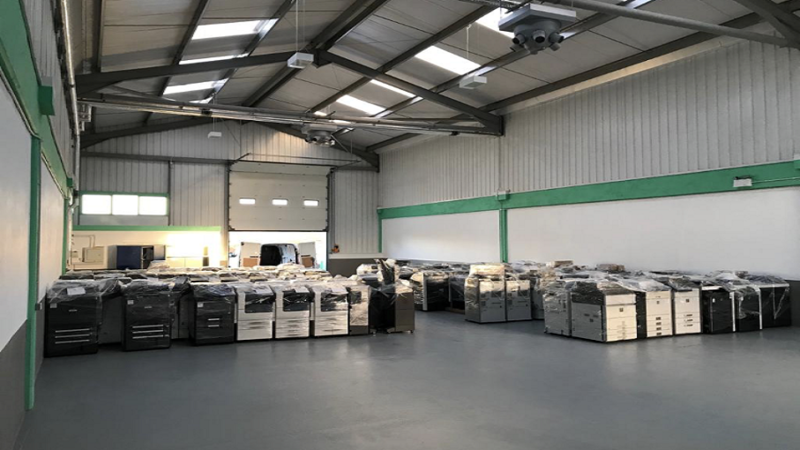 We feel our uniquely developed services are scalable to any size organisation which is why we are pleased to be working alongside some of the industry's leading manufacturers, independent dealers, smaller sales driven organisations and individual end users such as businesses, schools, hospitals and universities. 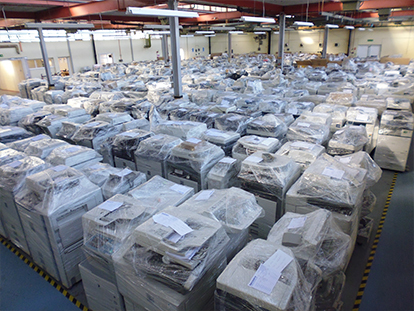 The UK’s leading photocopier handling specialists - Charles R. Famous, MegaCopiers Ltd.
Over the last three years Tecserv have invested heavily in the infrastructure of the organisation and have developed three strategically located depots across the UK allowing Tecserv to increase the standard coverage area by more than 100% at no additional cost to our clients. 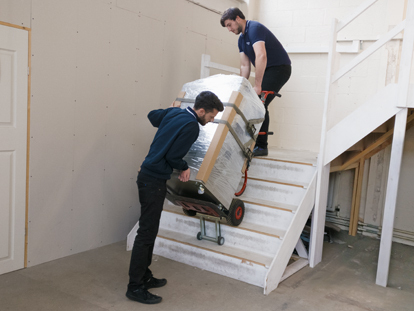 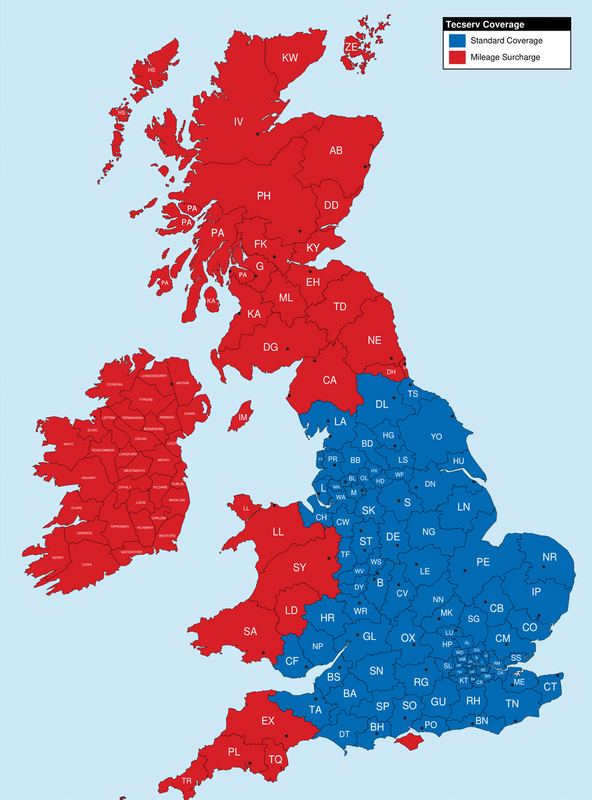 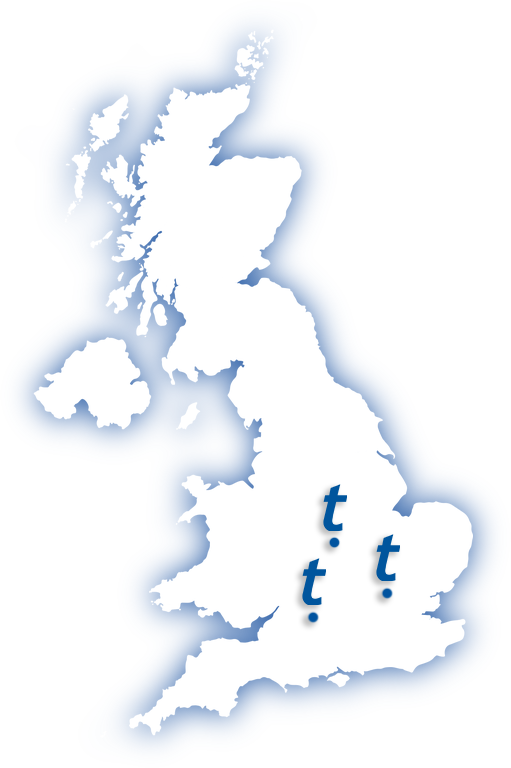 We have also recognised that the increased coverage area provides our existing clients with new business opportunities as they are now able to offer their services to organisations in areas of the UK which they may have previously considered out of reach. 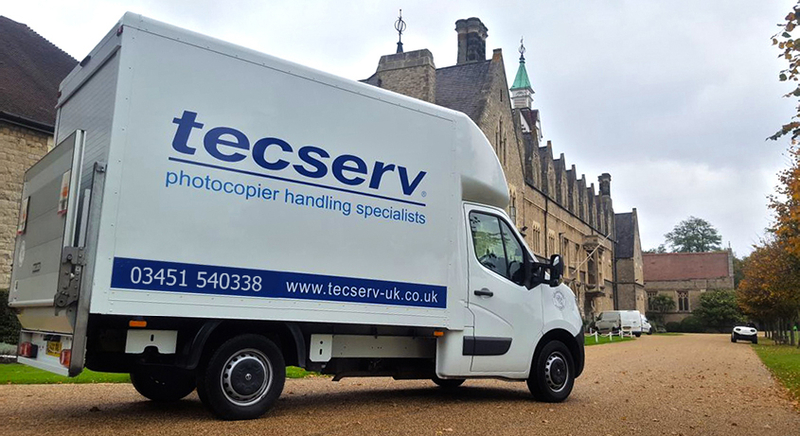 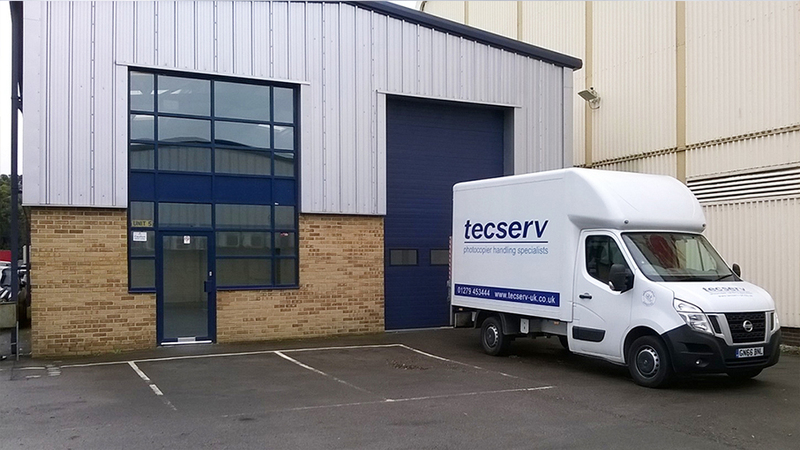 Tecserv are more than capable of handling nationwide photocopier deployments as well as operating outside of our normal coverage area, if this something that may be of interest please feel free to call the booking team on 03451 540 338 to discuss your requirements. 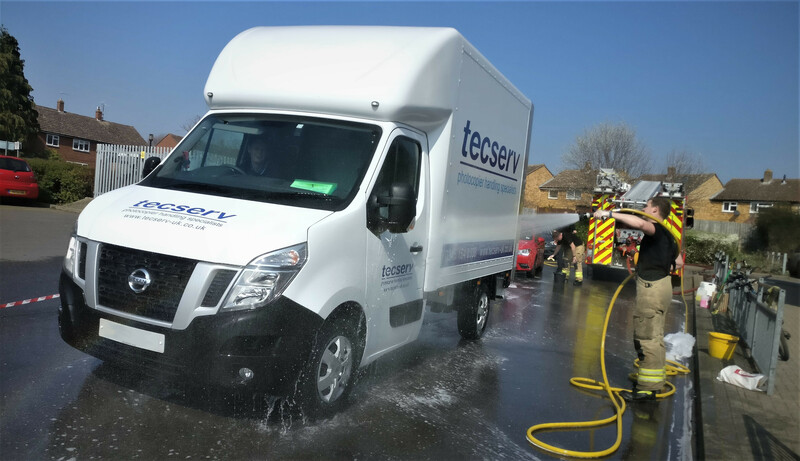 Tecserv Supports Wallingford Fire Department & The Fire Fighters Charity!